I am currently trying to find a good Bible translation to read and study from. What would you recommend and could you point me to any good articles/books/resources which could help me make this decision? Thanks! It’s hard to imagine a reply that won’t get someone really angry with me, but I’ll still give it a shot. My short answer is this: start with the New Revised Standard Version (“NRSV”) or the New American Bible (“NAB”). Both are widely available, and in my opinion generally unsurpassed in accuracy (though each also has its own drawbacks). 1. Paraphrases. These are like “English books based on the original Hebrew/Greek Bible,” sometimes only coming as close as a movie based on a book. The most common are The Message and The Living Bible. These tend to be written in colloquial, even chatty English, and are easy to read. But even though they are so accessible, I generally don’t recommend them, because they hide much of the original beauty and complexity of the Bible. 2. Word for Word Translations. I could equally call these “partial translations.” They take the words of the original Bible and try to reproduce each one in English. As a matter of translation, this is usually a really bad idea. But as a matter of religion (particularly for Jews) there are some good reasons to do this, so these partial translations of the Bible are more popular than they otherwise would be. The most common word-for-word translation is the English Standard Version (“ESV”). I don’t generally recommend publications that take this approach because they tend to create the wrong impression that the Bible was archaic or even incomprehensible. 3. Full Translations. These are Bibles that try to produce a true English equivalent of the text of the Bible, which is what you probably want. The most common are the New International Version (“NIV”), and the NRSV and NAB that I’ve already mentioned. 4. Outdated Full Translations. These are much older English translations, so they translate the Bible into English we no longer use. There’s no good theoretical reason to read one of these Bibles, but there’s a good practical reason. The King James Version (“KJV”) and the New King James Version (“NKJV”) are examples of this approach, and they are the most widely cited English Bible translations. When most people think of “what the Bible says,” they think of the KJV. The reason I give all of this background is that at first glance each of (1), (2), and (4) seems to be appealing — for ease of reading, apparent fidelity to the text, and apparent authenticity — but they are each mostly misleading in this regard. However, which Bible you ultimately want depends on what you want to do with it. If you belong to a religious community that has already chosen a translation, you probably want to stick with what your community has chosen; similarly, most translations reflect not only what the Bible originally meant but also what subsequent religious thinkers said that it meant. If you just want a general sense of what the Bible stories in Genesis or the Gospels are about, a paraphrase is the quickest path. The word-for-word translations frequently “sound like the Bible,” which can be comforting. Regarding resources for deciding, the Better Bibles Blog has a wealth of helpful information and discussion. And lots of books explain the different Bible versions, but mostly with not enough insight into how translation works. Still, you might want to look at Philip Comfort’s Essential Guide to Bible Versions or Bruce Metzger’s The Bible in Translation. Finally, I would suggest that more important than a good translation is a good teacher to work with. Even a perfect translation (and none exists) would only be a starting point. I’d like to point out that there is a significant difference between Living Bible, a paraphrase, and the New Living Translation, which more appropriately falls in category (3). There are a surprising number of people who seem to think the former is just a repackaging of the latter. Could you please explain what you mean by your concern about the Bible being seen as archaic? If I understand correctly, it seems your concern is that people would think the Bible is archaic as in outdated or no longer relevant. Right? I mean that the now-archaic language in the KJV makes some people who read it think that the original, too, was archaic. For example, “thee” and “thou” were originally used in the English translation as common singular pronouns, not as overly-formal or archaic forms of address. While this might repeat Keith’s comment somewhat, where do see the NLT fitting in, especially since it has become more literal in 2007 than the 1996 version? Although the Living Bible is a paraphrase as it was basically a rephrasing of the ASV, strictly speaking The Message is not, as it is a translation from the original languages. I prefer to call it a highly-idiomatic translation. In my opinion The Message is a mixed bag, some parts are brilliant, but others are quite bad, replacing metaphors and idioms with entirely different ones for no good reason that I can see. I recommend The Message as a good secondary Bible: if you’re struggling to make sense of a passage in your main Bible have a read of The Message as it will often help. Another great book is How to Choose a Translation for All Its Worth by Gordon Fee and Mark Strauss. It seems like you’re making a distinction between a paraphrase from an English version and a paraphrase of the original Hebrew/Greek, but it seems to me they are both paraphrases. For example, Genesis 1:1 in the The Message reads, “First this: God created the Heaven and the Earth — all you see, all you don’t see.” In this case, it’s the author’s addition of “all you see, all you don’t see” that makes it a paraphrase. There is no word, phrase, concept, or anything else in the original that corresponds with the English here — at least not that I’m aware of. While I agree that parts of it are very good, frequently those good parts are the least accurate. I think what makes The Message so tempting is that, of all the Bible versions I’ve read, its original language rises to the highest level. Well as I understand it, the technical meaning of paraphrase is that of a rewording in the same language. The OED says: “To express the meaning of (a written or spoken passage, or the words of an author or speaker) using different words, esp. to achieve greater clarity; to render or translate freely” In one way all translation is paraphrasing, as it involves putting the text into different words! I don’t know how or when, but in the Bible Translation scene “paraphrase” has come to mean a Bible version which is not word-for-word (or phrase-for-phrase) like the original texts, regardless of its translation philosophy and process, and I don’t think it’s a helpful change. The NKJV is more of a paraphrase than the Message is! The NIrV is a definite paraphrase too. Technicalities aside, there is a big difference between using the ASV or the GNT as your source text. Opinions will differ on The Message. I’ve found it quite engaging in its poetry, where it manages to reinstate a lot of the beauty which other more mechanical translations lose. As to Gen 1:1, well it does depend on your interpretation of the Hebrew. If you think the Hebrew refers to the totally of God’s creative work, both the earth, the heaven(s), the underworld, the physical, the metaphysical, the spiritual, the holy and the demonic, then the Message conveys that quite well. If הַשָּׁמַיִם וְאֵת הָאָרֶץ means more than “heaven and earth” does in English, then it would be a mistake to translate with just those three words. Oh, I’ve thought of another way of describing translations (which also means that just a single spectrum won’t do Peter), whether they attempt to convey the literary and genre-related features of the original. The Message is not suitable for widespread use because it is too idiomatic (some of which are lost even on fluent-but-non-American English speakers like myself) and will also date very quickly, but also because the author translated it as if it was written directly for its readers. It is written in a low, conversational register, which is great for doing what it was written for, engaging Christians who hadn’t been reading their Bibles. But it is not one for deeper study, as it obscures the differences in genre and register between books and passages. Anyone want to take a guess as to my choice for a translation? Surely there is another whole category which you have missed out: dynamic equivalence translations (or maybe you would want to find another name), a group including NLT, TEV/GNT and CEV (not the new CEB), arguably also NEB and REB. These are significantly different from your “translations”, especially from NRSV (which isn’t really very different from ESV except for the gender language and some more liberal theological decisions). But they are also not paraphrases, as you seem to recognise by not listing any of them as such. Of course it might also be good to note that there is a spectrum here rather than completely distinct translation types. I purposely avoided the terms “dynamic equivalence” (“DE”) and “formal equivalence” (“FE”) for two reasons. Even though the terms are commonly used within the field of Bible translation, they are rare among translators more generally, and all but unknown among people who just want to read the Bible. Secondly, as a matter of practice, I think that the philosophies behind the Bible translations end up contributing less to the final translation than do their implementation and other translation decisions. [The Message] is written in a low, conversational register, which is great for doing what it was written for, engaging Christians who hadn’t been reading their Bibles. But it is not one for deeper study, as it obscures the differences in genre and register between books and passages. What we perhaps need but do not I think have in English is a translation which uses noticeably different styles in different books to reflect the different genres and registers of the original. Wow, thanks! I found your recommendation of the NIV interesting because most people I know and talk to think that translation is absolutley horrible. And here’s the rub: I was using the NIV translation for a long time. But then I encountered people who either supported the NASB (now it seems like many are turning to the ESV) or the NRSV. They all hate the NIV. That’s when the doubt started creeping in. But then I began to realize after reading the prophets in a more dynamic translation (like the NLT) that I really wasn’t fully understanding what the prophets were saying and also that many younger people found the NLT much easier to understand. So then I had these two forces working on me, half wanting a really formal translation the other half wanting a more dynmaic translation and everyone hating the NIV in the middle! So I am going crazy. But thanks for the advice and maybe reading the NIV isn’t so bad afterall. You might ask them why they hate the NIV. I don’t know of any Bible translation that is so good that it leaves nothing open to criticism, but I don’t think the NIV is different enough from, say, the NRSV for anyone to “love” one and “hate” the other. I’ve yet to find any translation that I love, but, equally, all of mainstream translations are good enough that I don’t hate any of them. As I understand it (and I understand that your Hebrew, Joel, is a lot better than mine) the Bible itself is written in high register and archaic Hebrew. This is of course a troublesome point Genesis may perhaps have seemed conversational to mid-second millenium BC readers, but not to, for example, Jesus. But as I understand it (same qualification applies) Isaiah was written in a deliberately high, non-conversational register that the RSV et al are prepared to sacrifice for the sake of literal accuracy. This is an either of translation. “The boat this chick was in was like one of those thrones monarchs sit in, except it was POLISHED, and it was alight on the river…” is of course an accurate rendering of “The barge she sat in like a burnished throne etc” but utterly fails to take into account the idea of impressing its reader with the archaism and poetic diction. Robert Alter, in my opinion does a fairly, good job at reconciling these two aspects of writing, but mainly because he has same-page notes on the original Hebrew. If you want proper scholarship and don’t want to learn Biblical Hebrew yourself that may be the only way of reconciling accuracy with register. As I understand it (and I understand that your Hebrew, Joel, is a lot better than mine) the Bible itself is written in high register and archaic Hebrew. Almost for sure it wasn’t written in archaic Hebrew, and even by the turn of the era, I think the Hebrew of the OT would have been more familiar than the English of the KJV currently is to modern English speakers. But beyond that, register in general is very hard to detect. First of all, it should be acknowledged that the term “Bible translation” is fraudulent, as it implies that there is a “Bible” somewhere that is being translated. In reality, every “Bible” is an original work. It should be discussed as “Bible creation.” If I am mistaken on this point, then please show me where the original “Bible” exists? I would despair of attempting to establish a pre-Catholic canon and adopt the current list of NT books that the Catholics originally adopted (minus the Letter of Paul to the Laodiceans). As to the NT manuscripts, I would have to settle for Westcott-Hort’s eclectic mish-mash. Now, with my manuscripts settled (all in Greek) I would get to work on my new work of translating. Then I would proceed largely as the NET Bible does, and take my best shot at it and supply a wealth of footnotes. Any words I added would be bracketed. But ultimately, none of the existing “translations” are terribly useful to me, since they are based on the Massoretic text, following Jerome. I would totally agree with you that there is no perfect translation. But I believe that the word for word translations are actually the best translations because they try, as much as possible, to stay away from interpretation. When we get into the dynamic equivalence translations (what you refer to as full translations), there is too much of denominational bias interjected into the translation and interpretation of the text. I would be surprised if people read the ESV, NASB, NKJV and thought of them as archaic. What’s your view of the NASB? And why didn’t it make your list as a top literal translation? I believe the King James original version is the best it might not use the sane language we do but thats because it’s the original 1611 .. Revelations 22:18-19 talks about not taking words out of the original word of God so if we make new translations that would be doing exactly what God said not to do .. What’s your opinion on that ..
Paloma, in the 1611 version, the KJV followed the inventors of the Bible (the Catholic Church) and they included the Apocryphal books. By 1640, however, they excluded these books. So should “The Bible” (the one that John spoke of in the Revelation, by your view) include the Apocryphal books? Or is it “OK” in your view that the reformers canned these scrolls? Paloma, KJV is not the original Bible text. It is not even the original English translation – that is the Wycliffe Bible. Several more versions e.g. Tyndale, Coverdale, Bishop’s and Geneva, came before 1611. KJV was very unpopular at first and it was only state intervention that gave it a dominant position over the Geneva Bible. But that verse in Revelation is not about new translations, as long as they are accurate, but about neglecting or adding to the teaching God has given us. Peter, what a kind, informative, accurate, and concise response you have given to Paloma! Such a question would be met with scorn in many other quarters. Blessed is the man who walks in the fear of the Lord and not the fear of man. >>>…but about neglecting or adding to the teaching God has given us. Specifically that Revelation itself. It is only because Luther didn’t consider it scripture (voluntarily) that it was stuck at the end of the volume. I hope this question is pertinent to this post. If not, please tell and I’ll post it wherever you direct me. Or, to take another example, did Isaiah originally say (if he said at all, and didn’t just write) in Isaiah 61:1, “The Spirit of the Lord God is upon me because the Lord has anointed me…” or was it “The Spirit of the Lord YHWH is upon me because YHWH has anointed me…” And if the latter, why did Jesus not quote it this way in Luke 4? Surely he would not have let misplaced piety stand in the way of making known an important distinction to us. Moreover, why do none of the English NT texts seem to draw the distinction between YHWH and Lord that we see in the OT? In fact, I’m unaware of any verse in the NT that addresses a YHWH/Kurios distinction that we see ubiquitous in the OT as a YHWH/Adonai distinction. I would very much appreciate your thoughts, Dr. Hoffman. It’s a great question, with a long answer. I don’t know for sure what the original speakers would have said, but I think that yahwey was not it. I think the letters stood for something else. One possibility is adonai, though we have no direct evidence for it. Another possibility is elohim, though, again, we lack any direct evidence. One interesting clue is the great frequency with which we find the phrase shem YHWH (“the name of YHWH”) in the text, while we almost never see shem elohim. Wow, what an interesting repsonse. I’m pretty sure that the Masorites (sp?) vocalized it as “Ye-HoVah” (with a stop between “Ye” and “Ho”). But I don’t think English translations are concerned with either Jewish aversion or to any thought about the word having been unpronounced from the beginning. The fact is that Jerome translated it as “Dominus” (Lord) based on the LXX. That was the only “Bible” until Luther’s day. The Masorites actually vocalized it both as y’hova and y’hva. Many people don’t know that the dot that would indicate the sound /o/ is frequently “missing” from YHWH. But the real point is that the Masorites vocalized it with the pointing from adonai, as a way of reminding the reader to pronounce the word as adonai! The Masorites never intended y’hovah as a pronunciation. How do we know that they didn’t just point it for how to pronounce it? Couldn’t the adonai pointing similarity be coincidental? And of course, the pointing took place late.. 7th? 11th century? The pointing was recorded in the 10th century. We don’t know for sure how far back it goes, though it’s unlikely to represent anything from before the rise of Islam. We don’t know for sure that they mimicked the pointing from adonai, but one fact in particular points in that direction: Sometimes YHWH is pronounced elohim (Gen 15:2, for example), and when it is, the pointing is taken from elohim. I don’t understand a word of this. Whence do they get the word “LORD”? Dr. Hoffman, please permit me a follow-up. By the way, I read all the links you gave except for Ch. 4 of “In the Beginning” which is not as easily accessible. I do hope to get to it. My follow-up question has to do with the New Testament. Its writers never seem concerned with a YHWH/Kurios distinction (whether quoting from the Hebrew or the LXX) in the way that English translators are concerned with the YHWH/Adonai distinction in the OT. That is, the NT writers seem to write as if there was nothing but Kurios or Adonai in the OT. Why is this? At any rate, I don’t know when the change from YHWH to adonai and kurios took place, but it seems that the focus changed from the letters themselves to God. I suspect that this progression is more relevant for the history of writing than for theology, which might be way we don’t see any reflection of it in the NT. If so, it’s probably a mistake on our part to read too much into YHWH versus adonai today. Mike, as I see it, the NT writers probably never even heard of the name YHVH, didn’t know Hebrew and presumed that the LXX renderings were “all she wrote” (to use an Alabama expression). It *was* their scripture, just as, for a millennia, the Vulgate *was* the Bible to Christianity. It wasn’t a “translation” in their minds. If it was in the LXX, then “it is written in the scriptures.” They never dreamed of consulting a Hebrew source. 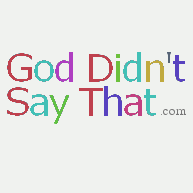 So, since the divine name had been expunged, it was not any part of their thoughts. This was big in the Hebrew text. * Someone non-Hebrew-speaking entity creates the LXX in Alexandria. Some group uses it as its scriptures. (It is wrong to presume that these were mainstream Jews, though that is possible). * in the future, God will come to the Middle East and resume being lord directly and Jesus will step down and be just another man again. All of this NT stuff has nothing to do with Jews, Judaism or the Hebrew scriptures. There, there is only YHVW, pronounced or not pronounced, as “lord” or “adonai” etc. What all of this means is that we have a progression, not a static situation. Joel, thanks for the tip about your fourth chapter, which I read. Your theory is interesting. However, since you think the letters were never vocalized or even intended to be vocalized, does this mean that you think Adonai (i.e. Lord) was vocalized in its place from the beginning? For as I mentioned above, in 1 Sam 17:45 (and many other passages), the speaker apparently vocalized something. Wounded Ego, your theory that the NT writers assumed that the LXX was “all she wrote” seems hardest to accept when it comes to Paul who was raised a Pharisee, sat at the feet of Gamaliel, and was zealous for the traditions of Israel. Are you comfortable saying that Saul of Tarsus had no awareness of the Hebrew scriptures and the word YHWH which appeared in them over 6,000 times? Mike, I personally don’t consider the Acts account of a “Saul” turned “Paul” to be factual. But regardless, Paul clearly is basing all of his arguments on the LXX, even where they disagree with the Hebrew, so he is either ignorant of the Hebrew or intentionally gives it no primacy to the Greek scriptures. He even makes frequent references to the Greek only scriptures, which Jews reject. I am by no means a biblical scholar or anything, but I think the reason the NT authors used the LXX was because they were speaking to a Greek audience. What I mean is, it wouldn’t do much good to quote in Hebrew to people who don’t speak Hebrew (after all, the mission of the NT church was to reach the Gentiles). Also it would be redundant to translate an OT passage from Hebrew into Greek when you already have the LXX laying around, ready to go. Just thought I’d throw my three cents in. The evidence suggests that the NT writers “thought in” Greek because their arguments would make no sense at all in relation to strictly Hebrew texts. In fact, apart from the Pentateuch, the most influential text on the NT is, to my mind, obviously the Enoch scrolls. The concept of the Protestant “canon” would be a very strange one to the writers of the NT! I agree with you on the Book of Enoch thing. How can Jude be accepted as canon without acknowledging the Book of Enoch also; doesn’t make sense. Yeah, the whole idea of a NT canon seems superfluous given the fact that the writings were letters addressed to specific people and churches. It kinda reminds me of that one scene from “The Secret of My Success” where Michael J. Fox’s character praises a memo as being literature (in an attempt to conceal that he works in the mail room). I’m not saying that they preferred the Greek over the Hebrew, only that the Greek had, according to the extant evidence, primacy. I think this is because Hebrew was a dying language, and the only other option is that they knew the Hebrew and when it disagreed with the LXX, they ignored it, which is to my mind is extremely unlikely. Heb_11:21 By faith Jacob, when he was a dying, blessed both the sons of Joseph; and worshipped, leaning upon the top of his staff. Gen 47:31 And he said, Swear unto me. And he sware unto him. And Israel **bowed himself upon the bed’s head**. Gen 47:31 And he said, Swear to me; and he swore to him. And Israel did reverence, **leaning on the top of his staff**. This is one example of myriads of examples. And Paul is no exception! Psalms 4:4 Be ye angry, and sin not; feel compunction upon your beds for what ye say in your hearts. Thanks for the link WoundedEgo! it’s an interesting topic when you really dive into it. about the Jeremiah 31:31 difference between ‘chudashah’ and ‘chadsahah’, REnewed Covenant, versus “New Covenant”. It is a crucial distinction in understanding the (not!) ‘NEW COVENANT. The Word is the “REnewed” Covenant, INSIDE the devotee. I wondered about this for years until “Gershom” explained the Masorete/LXX foul-up on this word form. I am joining a Catholic Bible Study group. I am using the New International Version Bible, which, in context, seems relevant to the King James Version. It is a little easier to read, but I find it rather comparable. Will I have a hard time in my study group, identifying each verse with Roman Catholic rhetoric?